Scott's Carports is a proud and proven dealer for Carolina Carports, a leading name in quality carports and metal garages. Carolina Carports has been in the metal and steel building industry for nearly three decades and has delivered storage structures made by teams of talented and dedicated workers to countless customers. When you purchase a Carolina Carports product through a vendor like Scott's Carports, you're investing in a product that can be customized to fit your property. These metal carports offer the most protection for your cars, trucks, motorcycles, recreational vehicles or boats. Scott's Carports offers plenty of options when it comes to installing metal garages in North Carolina, South Carolina and 14 other states across the South and Western regions of the country. 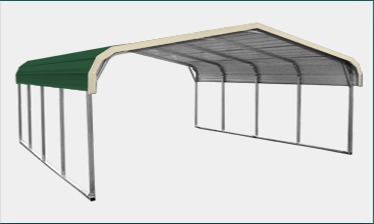 That's because the various design elements that are available with Carolina Carports products all serve a distinct purpose and can fit your design preferences. For instance, a boxed eave carport benefits from sturdy A-frame style construction, while the vertical roof option encourages leaves, snow and rain to run right off. With dependable enclosed metal carports, whatever you decide to store inside will be better protected from Mother Nature. 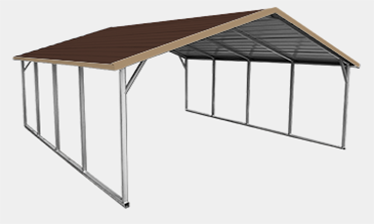 Given all the benefits that these quality installations can offer, you may be surprised to know that Carolina Carports can be constructed in about one day. When working with a trusted provider like Scott's Carports, you'll be able to pick out walls, garage doors, and other extras and accessories that fit your property and style. 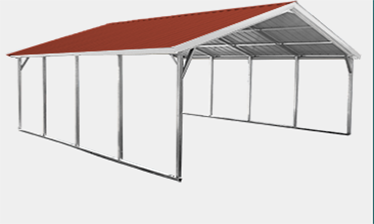 To see some examples of our carports, click here. 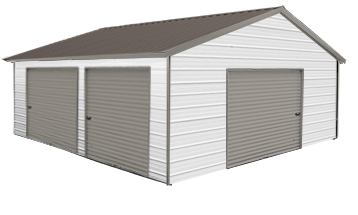 DESIGN YOUR OWN CARPORT OR GARAGE! 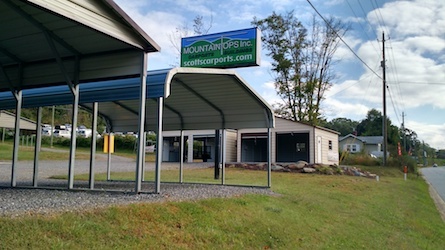 Factory-direct dealer for Carolina Carports Inc.
Scott's Carports / Mountain Tops, Inc.